So when it came to my own seasonal cherry recipes I knew I wanted to go savoury. I've got something up my sleeve with goat cheese and cured meat for next week but for now I've gone with feta and pistachios. Neither of which the thesaurus mentioned but I think they are missing a trick! Bulgar could easily be substituted for cous cous, quinoa or pearl barley depending on your preference and the pistachios could be swapped out for pecans, walnuts or hazelnuts. Keep things simple by using a stock cube to cook the bulgar wheat and shop bought honey and mustard dressing to toss the salad in. Nasturtiums are flourishing in my garden at the moment and I couldn't resist adding some of their vibrant peppery flavour and summer colours to my finished dish. However they are by no means essential and the contrasting colours of cherry red, feta white and pistachio green already paint a pretty picture. The first bite is eaten with our eyes after all. 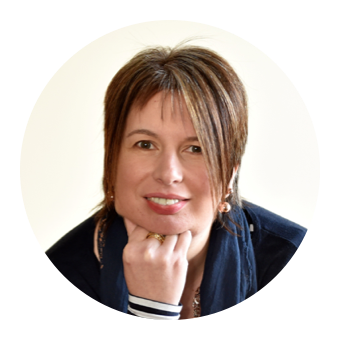 When it comes to seasonal foods its all about the timing and with Jerte Picota Cherries you only have a six week window of opportunity. Native to the beautiful Jerte Valley in Northern Spain Jerte Picota Cherries are a special variety of cherry, sold without stalks. They are a P.D.O. product (Protected Designation of Origin) which certifies that the fruit has been grown, harvested and packed under rigorous quality-controlled procedures and has come exclusively from Spain's Jerte Valley. 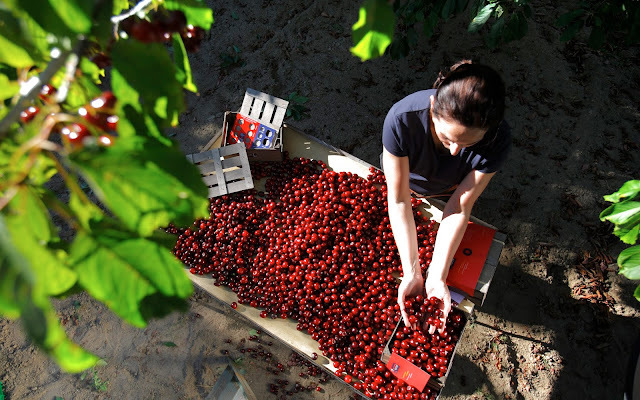 When the cherries are ready to be harvested at optimum ripeness, they are hand-picked off the trees, leaving the stalks behind, and placed into chestnut baskets. This is why they are sold without a stalk. The word ‘Picota’ means ‘peaked’ and if you look at the base you'll see it has a slight peak. You'll find them on sale in Sainsburys, Tesco, Morrisons and Aldi until the start of August so be sure to grab them whilst you can. Place the bulgar wheat in a large bowl, pour over the hot vegetable stock and leave for 30 minutes. Drain off any remaining liquid. Alternatively cook the bulgar wheat according to the packet instructions. Meanwhile prepare the remainder of the salad ingredients. Roughly chop the pistachios, cube or crumble the Feta and stone and half the Jerte Picota Cherries. Add the feta, rocket, pistachios and cherries to the bulgar wheat and stir gently to combine. Add the honey and mustard dressing, mix, taste and season with freshly ground salt and pepper. Transfer to a serving dish and garnish with edible flowers. This looks so refreshing - feta cheese goes so well with fruit. My friend is always awaiting that moment when the picota cherries arrived. Seriously, he keeps us updated. I would love this salad for lunch. Shared! I have not yet tried these Jerte Picota cherries, but they look good. 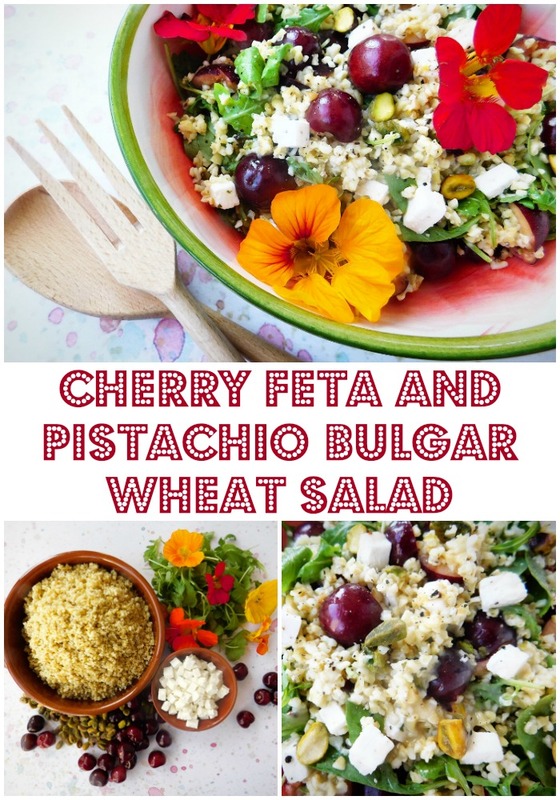 I love the combination of bulgar, feta, and the cherries, with the pistachios for crunch and colour! Given the amount of salads we are eating at the moment this must go on the list, Its so pretty and I love cherries.